News, Articles and Podcasts Is podcasting back from the dead? 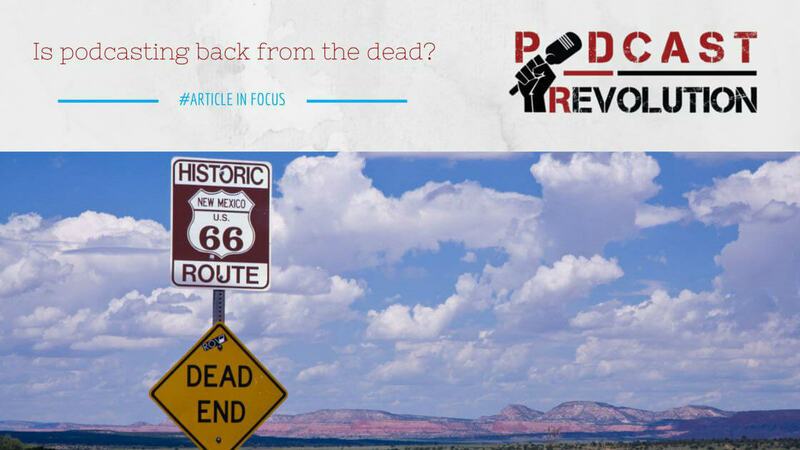 Is podcasting back from the dead? No, this is no eulogy. Back in January 2008, Michael Geoghegan gave the infamous presentation titled, “Podcasting is Dead“. He gave this presentation at a very well renowned conference called New Media Expo. He was a kinda twisted though, because his presentation wasn’t really talking about the death of podcasting, but something entirely different. He was referring to how unprofitable podcasters were claiming that the medium was dead. He was asking podcasters to look at what their audience would pay for the information that their podcast put out into the world. And, in turn, how much would an advertiser pay to have access to that audience. Yes, podcasting started way back in 2004 and it hit a bit of a trough until 2013. But since then, the rise of podcasting is surely on the rise with great things expected from the medium. Michael’s whole presentation can be heard by clicking <<<HERE>>>.